However, it is not currently known whether dissonance-based interventions attempting to change non-clinical health behaviours such as smoking and alcohol use are useful. There is increasing evidence that various health behaviours might be amenable to dissonance-based interventions and therefore this systematic review aimed to draw together research in order to determine if dissonance-based interventions are effective at changing health behaviours, attitudes or intentions. The studies analysed were identified through searches of relevant electronic databases e.g. PsychINFO, MEDLINE. Additional papers were sought via dissertation, theses databases and Google scholar. Any potentially relevant studies were selected by screening of article titles and abstracts. These studies were then read in full and it was decided if they were to be included for analysis based on the eligibility criteria. Information about the studies was obtained by completing a form which was developed during a previous pilot study. 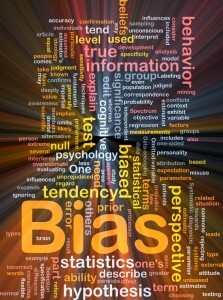 Any research included in the systematic review was also reviewed for risk of bias. Twenty articles were identified for inclusion in the systematic review. Three of the studies involved children and adolescents while the rest investigated interventions in adults. Seventeen of the studies investigated mainly females with five of the seventeen studies involving entirely female population samples. The majority of studies reported a positive effect on one or more of participant’s health behaviour, attitudes or intention following dissonance-based intervention. Within the studies, changes in peoples’ attitudes and intentions were usually consistent with changes in their health-related behaviour. The studies that this systematic review looked at had varying degrees of bias, but bias within each study was usually not addressed. For example, bias in terms of the selection, randomisation and allocation of people in the studies to interventions could not be assessed as too little information on the processes used was provided. Many of the studies mainly recruited college students and as already noted many only really looked at the effect of intervention on women. This means it may be difficult to generalise any results to the larger population. A lot of the studies required the people taking part to report changes in attitude etc. themselves. This might mean that people were reporting changes not because of the intervention, but because they judged a change as being socially desirable. 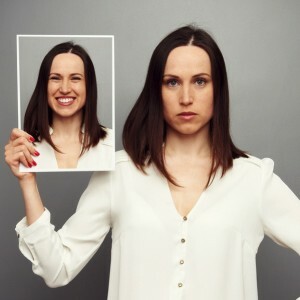 The authors concluded that evidence regarding effectiveness of dissonance-based studies was largely positive and that within studies changes in behaviour were generally consistent with changes in attitude and intention. These findings are consistent with previous research. The hypocrisy paradigm was the most commonly used paradigm to induce cognitive dissonance and appeared to be the most effective in producing positive changes in health behaviours, attitudes and intentions. However, future studies in this area need to address their risk of bias e.g. need to use an objective measure of change in behaviour, attitude and intention. Studies with some degree of follow-up, determining if positive changes in health behaviours were upheld in the long term would also be useful. This systematic review shows that dissonance-based interventions may be useful for inducing positive health-related behaviours, for example, reducing alcohol use, safer sexual behaviours and so on. However it is not clear who would deliver these interventions. Would you need access to a psychologist, could dietitians deliver them or would your GP have to sort it all out? Future studies may also need to focus on more objective measures than those generally used as well as determining if these interventions produce effective change in the long-term. In terms of the actual intervention the hypocrisy method was the most studied and was the most effective in producing positive health behaviour changes. If this isn’t what I have argued in the past then I’m very sorry. Turns out dissonance interventions for positive health behaviours may work, but studies are prone to bias. http://t.co/b2GMuEQddL By Me. @hullodave @garwboy @Mental_Elf Admit have used same techniques to get IT architecture practices adopted. Turning away from bad habits.